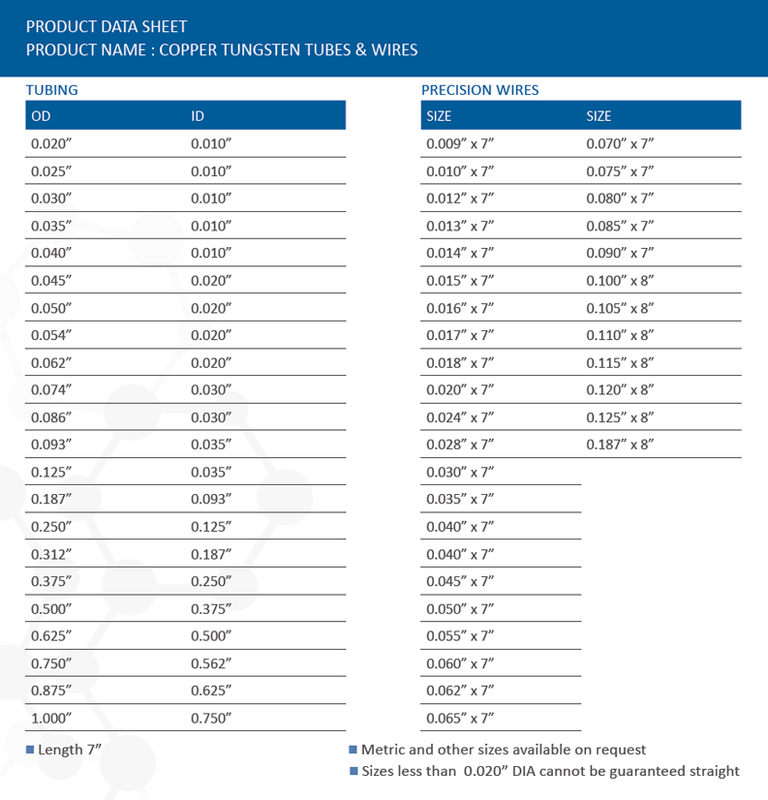 Erodex supply copper tungsten tubing and precision wires in a number of lengths and diameters, perfect for EDM applications. Click here for standard dimensions. In addition to our standard copper tungsten tubes / wires, we are able to supply bespoke sizes on request. For copper tungsten disc, plate, square, rectangle or bar, follow this link.